This has got me puzzled. Seems that times are a-changing in Perth. Is it a new love affair with auctions, or something else? There’s a strange story in the AFR about an auction boom over in Perth. It’s a bit of a riddle. I wonder if you have the answer. Apparently, the rate of auctions has jumped to a 15-year high, even though the Perth market overall is a tad soft right now. For whatever reason, our capital cities have different love affairs with auctions. The love runs hot in Melbourne and Perth, and auctions tend to clear well. During the most recent peak, Sydney auction clearance rates were getting up around 90%. It’s a different story in Brisbane, where clearance rates barely top 40%. Different cities, different cultures I guess. Over in Perth, auctions have almost never been the rage. According to REIWA, auctions typically only account for a tiny 3% of the market. But right now, auctions are ramping up. Well, typically you see auction activity pick up in hot markets. Auctioneers try to play on the emptions of buyers. They pit them against one another, and use a fear of missing out to push buyers to their limits. All good news for the seller. But that’s much harder to do in a cooler market. And right now, Perth is definitely on the cooler side of things. Median house prices are 2.7% lower than they were in 2013. The stock on market is rising, and the average time to sell has spread out to 72 days. At the same time, turnover is grinding slower. The number of homes sold in Perth is at its lowest in 20 years. There were 36,586 transactions in the year to February, less than half the peak turnover set a decade ago of 78,071. So why the frenzy in auctions? True enough. In a hot market, you’re a price maker. A skilled auctioneer creates a buzz, buyers are falling all over themselves and you can pick the price you want to sell for. In a softer market, you’re a price-taker. You’ve just got to take what the market will give you. It could be that tastes are changing over in the West. We are certainly seeing a lot more auctions on our TV screens – shows like Hot Property and all that. So maybe there’s a bit of a cultural shift under way. Maybe Perth is the next Sydney. Could be… Any West Australians want to shed some light on the vibe over there? I still find it strange that WA would wait for a softer patch in the market to make this transition. It’s much easier to get a buzz going around auctions when people are hearing stories about prices coming in way over reserve. It’s much harder to see it happening when places are still pushing to sell. I guess the thing I worry about is that maybe real estate agents are pushing auctions on people precisely because the market is a bit soft right now. REIWA data shows that private treaty sales took 26 days longer than auctions. For real estate agents, time is money. So are auction fees. Or maybe real estate agents are going to auctions to give people a clearer picture of where the market is at – to help them adjust their expectations. Personally, I think this is it. Real estate agents somehow have come together and created a mafia-style alliance to create activity and prop-up prices. Unfortunately it isn’t going to work. Or maybe people are calling it in themselves – a last throw of the dice to get the price they’re dreaming of. Auctions can be a great way to get a higher price, especially in a hot market. And most real estate agents will give you a good sense of whether it’s a good market for auctions, or not. But these stories of an ‘auction boom’ in Perth, just don’t quite square away in my mind. So interested to hear what people think. I guess one of the reasons it piques my curiosity is if this auction boom is indicative of a market moving quicker than we’re used to. 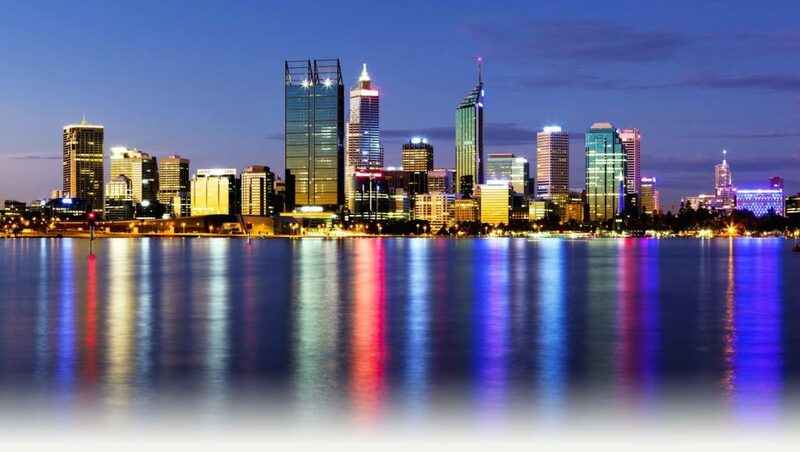 Perth did well out of the mining boom. However that also means that it’s got to make the biggest transition out of all the capital cities. There certainly isn’t the exodus west that there was at the peak of the mining boom. Population growth is slowing, albeit from a high level. And that’s one of the factors dragging on price growth. I still think Perth will be right. She’s a big city, and there’s a lot more than mining going on there. Still, it’s an odd story, and I wonder if there’s something we’re not seeing. If you live in Perth and invest in property, what’s your feeling about this strange property auction boom angle from the AFR? Is the market good buying at the moment?